German sedans are often priced at rates the average consumer just can’t afford. The Volkswagen Passat is an exception to this rule. The 2017 VW Passat delivers the same degree of performance and comfort for a fraction of the price. This midsize sedan has a lot to offer, inside and out. Although the Passat has been virtually unchanged since its current-generation inception in 2012, it still holds up well and is able to outperform some of its competitors. If you are looking for a super flashy luxury sedan, the 2017 VW Passat is not that vehicle. 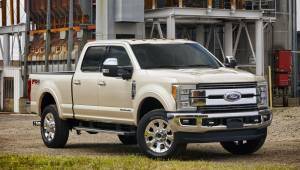 It is, however, a vehicle that packs a lot of reliability into its performance. This front-wheel drive comes with two different engine options, the first being a standard turbocharged 1.8-L 4-cylinder engine. The 1.8-L engine generates 170 hp and 184 lb-ft of torque. Paired with a 6-speed automatic transmission, this engine option can get the Passat from 0 to 60 mph in 7.7 seconds. The second engine option is a 3.6-L V6 engine that is nicely paired up with a 6-speed dual-clutch automatic transmission, which is also known as a DSG. This option is available for the SE and SEL trims and can generate 280 hp and 258 lb-ft of torque. Since this powertrain is particularly powerful, the Passat can sprint from 0 to 60 mph in a speedy 6.4 seconds. Additional safety features include a rear cross-traffic alert and the lane departure warning system, which lets you know when your vehicle is crossing over a line into the other lane and helps to correct this. Volkswagen also has an optional Car-Net telematics system that offers features such as roadside assistance, remote vehicle access, automatic crash notification, geo-fencing, and speed alerts. The 2017 Audi A6 is one of the 2017 VW Passat’s top competitors in the midsize luxury sedan class. All the technological features found in the Audi A6 are incredibly high-tech and extremely easy to use for even the less tech-savvy drivers. The A6 has a superior sound system, especially on the upper trim levels. Also, the LCD touchscreen monitor is slightly larger than the one found in the Passat. The 2017 Audi A6 has an incredibly luxurious, spacious, and an all-around well-crafted interior that looks somewhat more contemporary than that found in the 2017 VW Passat. The Audi A6 also features a longer list of standard features than the Passat, making it truly worth the price tag. Additionally, the engine options for the 2017 Audi A6 are more powerful than those found in the Passat, but fuel economy is just slightly better. The A6 with a 2.0-L 4-cylinder engine and front wheel drive gets 28 mpg combined (24 mpg city/35 mpg highway) and 26 mpg combined (22 mpg city/32 mpg highway) on the all-wheel drive 2.0-L engine. On the downside, the 2017 Audi A6 has navigation features that can be something of a distraction for drivers. Also, it could do with a few more standard features offered by its competitors. If you don’t mind having minimal storage space for small items and the noticeable lack of standard features on the base sedan (the 320i), the 2017 BMW 3 Series is a good alternative to the 2017 VW Passat. However, you will be spending more to get the 330i, which offers more in the way of helpful and entertaining features. It also has a much more powerful engine than the 320i, which has a relatively sluggish acceleration. The BMW 3 Series vehicles, like the Passat, have a smooth ride quality and quiet interior space. However, cargo space is fairly limited at just 13 cubic feet in the trunk. The 3 Series has a lot of helpful driver assistance features, but you will be paying more to get them, which might not be worth it for some drivers. If fuel efficiency is more important than power and speed to you, you will want to opt for the more conservative 1.8-L 4-cylinder Passat engine. 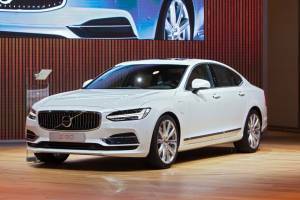 This option will get you an estimated 27 mpg combined (23 mpg city/34 mpg highway), whereas the heftier 3.6-L V6 engine consumes more gas. The V6 engine will net you about 23 mpg combined (20 mpg city/28 mpg highway). Unfortunately for the Passat, it has several competitors that offer far superior fuel economy, including the 2017 Honda Accord. Overall, while there are some limitations to the 2017 Volkswagen Passat, it is a classy elder among a group of young whippersnappers. 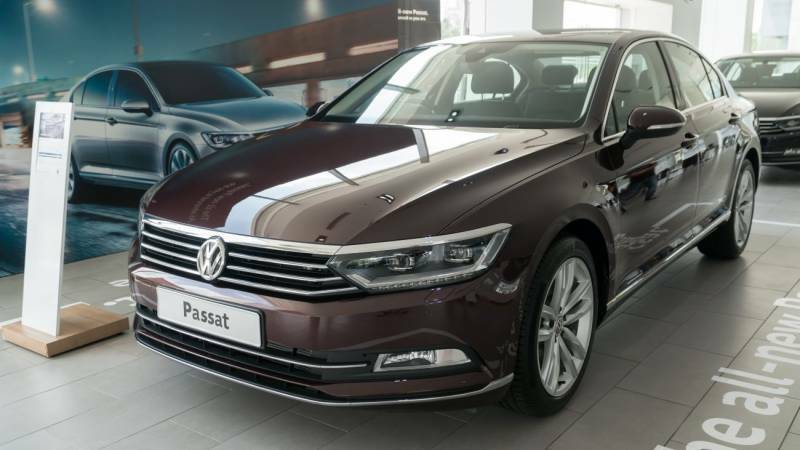 The Passat is certainly due for a few important upgrades, but it continues to embody refined elegance and reliability. If you are considering purchasing a 2017 VW Passat, you will have to make the difficult choice between the better fuel economy offered by the 1.8-L 4-cylinder engine and the zippy accelerative power of the 3.6-L V6 engine option.